Plenty of you are already familiar with the Yoast SEO basics – such as using keywords correctly, getting as many green lights as possible, and structuring your content adequately. However, there are plenty of other features that you may have missed in your rush to start optimizing your content. In this piece, we’ll review the Yoast SEO setup process together, and make sure our installations are properly optimized. We’re sure that most of you know how to install and activate a WordPress plugin, but we’ll go over the basics for any newcomers among you. Once found, click on Install Now, then Activate to complete the process. Now we’re ready to configure the plugin itself. We recommend leaving these settings blank except for the last one, which won’t affect your SEO rankings in any way. Here, there’s also an option to enable or disable OnPage.org’s indexability check. OnPage.org is a website optimization organization that cooperates with Yoast SEO to check your homepage’s search engine indexability. It makes sure everything is set up correctly for inclusion in search results. Rest easy, though – it doesn’t gather any information regarding your personal settings or WordPress data while performing its checks. 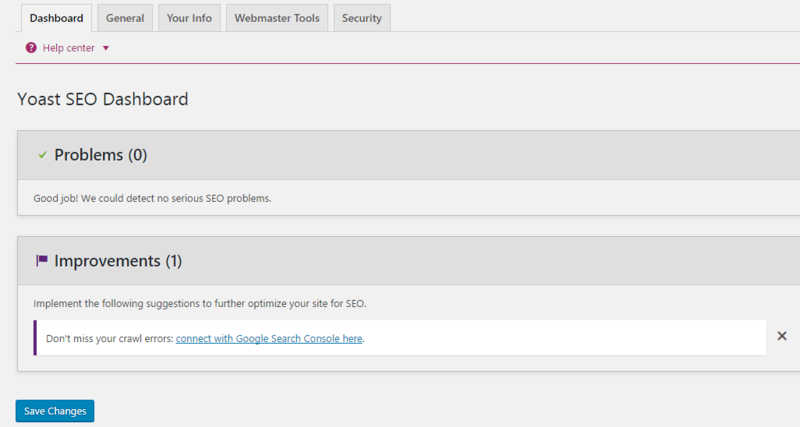 That’s the end of the Yoast SEO Dashboard section, and we hardly got to tinker with any settings at all. Don’t worry – the following tabs offer plenty of options for us to play with. The Yoast SEO Titles & Metas section is an important one – it includes six different tabs grouping settings such as title separators and post taxonomies. Let’s take it from the top. These symbols are used to separate your post titles and site names on search engine results – for example, at Elegant Themes we use the ǀ symbol, so our search engine titles read: Yoast SEO, An Easy to Follow Setup Guide ǀ Elegant Themes. The readability analysis could be turned off if you don’t intend to use it, but in our experience it’s a useful tool to gauge the overall structure of your posts. We recommend keeping it on and ignoring its score if you feel like it, but do consider heeding its structural advice if you want to craft better content. Keyword analysis, on the other hand, is arguably the heart of the Yoast SEO plugin. If you remove this tab from your meta box, you might as well uninstall the plugin – it’s that crucial. We’ll discuss these meta boxes later on. The first field includes multiple variables that make up the structure of your template – these can be altered to suit your preferences, but we recommend keeping your site name in there as well as your site description (including keywords). For example, %%sitename%% %%page%% %%sep%% %%sitedesc%%. Breaking it down, there are four percentage symbols surrounding each variable – your site name, page name, description, and a separator. As for meta descriptions, you should be writing a unique one for each page, so keep this blank. Here’s a list of the variables you can employ in both fields. Keep it handy, because you’ll need it during the next few sections. We’re already familiar with the template fields and the procedures we should follow here – modify your title templates according to your personal criteria, and keep the meta description template fields blank since each page or post should have a custom one. Finally, you shouldn’t mess with the non-index setting unless there are any custom post types you don’t want showing up in search results – just make sure that your posts and pages remain indexed. Now it’s time to repeat the same process for Taxonomies and Archives, both of which have their own tabs. Adhere to the guidelines we explained above, but feel free to non-index those taxonomies you don’t want to include in your archives. Subpages of archives: This governs whether pages two and onwards of your archives appear in search engine results, and is enabled by default – we recommend leaving it there. Use the meta keywords tag: A legacy option that’s not worth enabling, in the words of the Yoast SEO developers themselves. 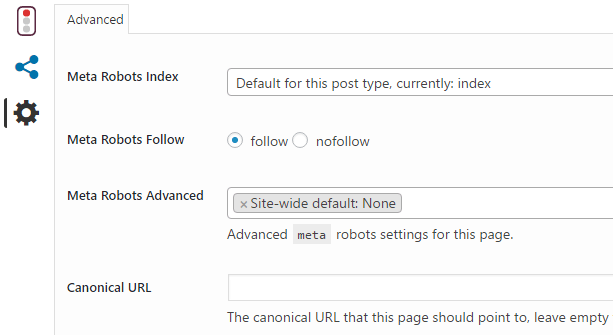 Force noodp meta robots tag sitewide: This setting is enabled by default when you set a custom description for any page or post – it prevents search engines from showing the wrong descriptions, but you don’t need to turn it on. Accounts: This is a straightforward list of fields where you’re prompted to enter all of your site’s social media URLs. Yoast SEO uses this information to tell search engines “Hey, these sites are all related!”. 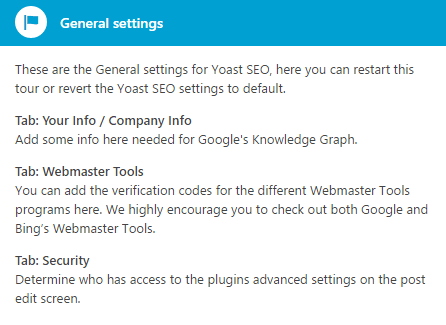 Twitter: Here you can toggle the Twitter settings that appear under the Social tab of your Yoast SEO meta box – keep it enabled unless you don’t use the platform. We also recommend setting the default card type to Summary with a large image, since social media content tends to do better when accompanied by relevant media. Pinterest: On this tab, you can link your site with Pinterest so it can access your Open Graph metadata. Google+: You can add a URL to your Google+ business page here if you have one. 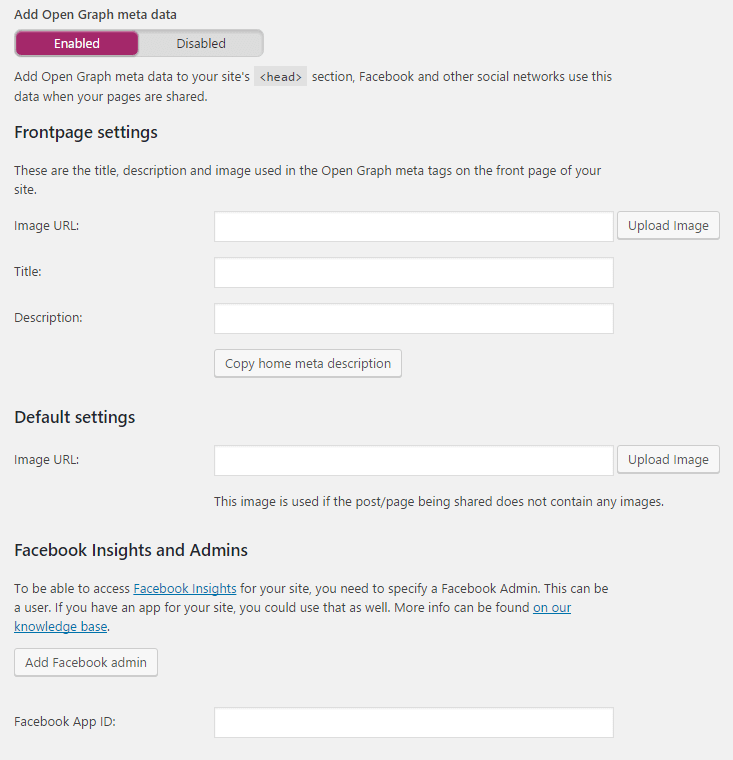 Here, keep the Open Graph meta data settings enabled, set a featured image and title, and disregard the Facebook Insights and Admins section since the platform is currently not accepting new additions to its Domain Insights program. This won’t have any impact on your SEO either way, so let’s move on to the next section. Entries per sitemap page: This governs the maximum number of entries on your sitemaps – the default should be more than enough. User sitemap settings: Enabling this setting includes the archives for every user of your site in your sitemaps, and it’s completely unnecessary! Post types sitemap settings: These settings determine which post types get their own sitemaps. The default configuration is set to posts, pages, and custom projects (excluding media), which is perfect for SEO purposes. Excluded posts: You can exclude individual posts from your sitemaps using their unique ID if necessary – this can be useful for certain scenarios, such as for members-only content. Taxonomies sitemap settings: Here you can determine which taxonomies get their own sitemaps. All of them are enabled by default, but Yoast SEO won’t create sitemaps for taxonomies with no entries, so you can safely keep the default settings. Breadcrumbs have fallen out of favor in website design during the past years. Their benefits – such as enabling users to quickly determine their location on a website and enabling crawlers to better index your site – are easily taken care of with better methods. While enabling users to quickly determine their location is clearly a benefit, the truth is that this could signify a navigational or layout issue. Furthermore, your sitemaps should be good enough for any crawlers to get the information they require to index your site. Either way, it’s worth noting that you’ll need to manually insert breadcrumbs into your theme if you want to display them. To be frank, this is a personal decision that won’t have any significant impact on your SEO, so feel free to go with your gut. The optimal configuration for some of these settings is debatable, but on the whole, we recommend removing the category base from our URLs, redirecting attachments towards their parent URLs, and removing stop words from the slugs. With that being said, the optimal solution is always to create unique, optimized URLs for each of your posts. Finally, keep the last two settings in this section untouched, and proceed to the RSS settings. This tab enables you to include specific content before or after your posts on user feeds, which is perfect for author descriptions or adding links back to your blog. Tools: This tab includes links to a bulk editor (for editing the titles and descriptions of your posts and pages en masse), a file editor (for modifying your robots.txt and .htaccess files), and options to import settings from other SEO plugins or export them your own for re-use. Search Console: We mentioned earlier that there was a separate Google Search Console tab, and this is it. 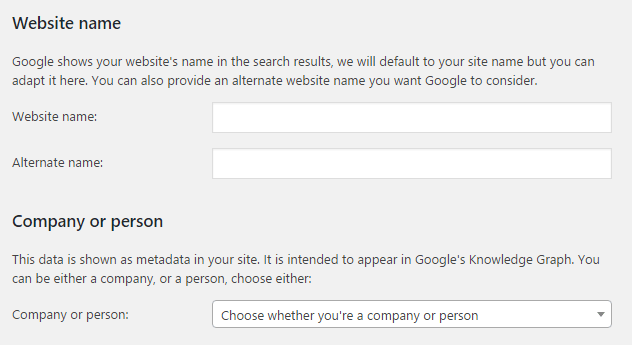 Here you can obtain and enter your Google Authorization Code, and enable the plugin to retrieve your Search Console data. Congratulations – you’ve now set up Yoast SEO optimally! 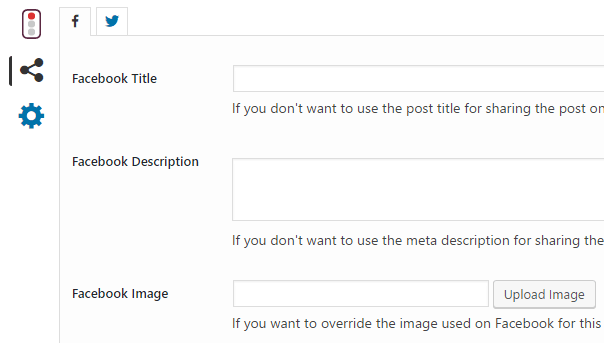 Let’s now look at the settings found within the meta boxes on your posts and pages. 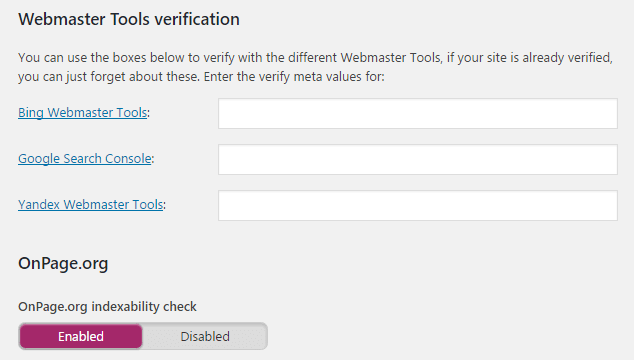 If you didn’t disable the setting during the previous setup process, each of your posts and pages will include a Yoast SEO meta box. This contains three sections, and the most important one is Content optimization – that’s where we can find the Readability and Keyword tabs. An overall Flesch reading score. While these criteria are all valid, it’s important to keep in mind that not every good post needs to obtain a perfect readability score. Sometimes, you’ll have to explore subjects that require different structures or approaches, so don’t sweat it. However, do keep an eye on the suggestions Yoast SEO makes, in case you feel they can improve your articles. One of the reasons Yoast SEO is so popular is that its suggestion system is very simple to grasp – if you’re using your keywords wrongly, it’ll inform you and explain how to correct it. Instead, we’ll leave you with this guide by Yoast on How to choose the perfect focus keyword. Enables you to use multiple focus keywords. Includes a social preview feature on your meta box. Enables you to manage your redirects. If this additional functionality is something you need, the plugin is priced starting from $69. Familiarize yourself with the Yoast SEO dashboard, not just the meta box. Configure your social media settings. Optimize your permalink structure and RSS feed settings. Maximize your readability and keyword performance using the Yoast SEO tips within your meta box. Do you have any other SEO tips that you’d like to share with us? Subscribe and do so in the comments section below! As Al said below, Yoast’s version does the job – what’s more, it’s already baked into the plugin. same question here.. i use jetpack.. and i use yoast plugin..
both plugin offer xml sitemap creation, the url is different. what i’m asking is, should i activate function from both plugin ? since it didn’t conflict one another. or should i use only one ? in this case, what your recommendation is ? No, there’s no need. I’d choose one or the other and stick with it. Given that Yoast have more SEO knowledge, I’d go with that option. Can you use this great plugin with Divi Theme? I tried it but I think it creates a conflict. I use Yoast with all of my Divi sites with no problems to date. I like the Yoast sitemap that comes with the free version of the plugin. It seems to work very well with the search engines. Thanks for your comment Al! noindex is a good option as it tells search engines not to how this page in results. 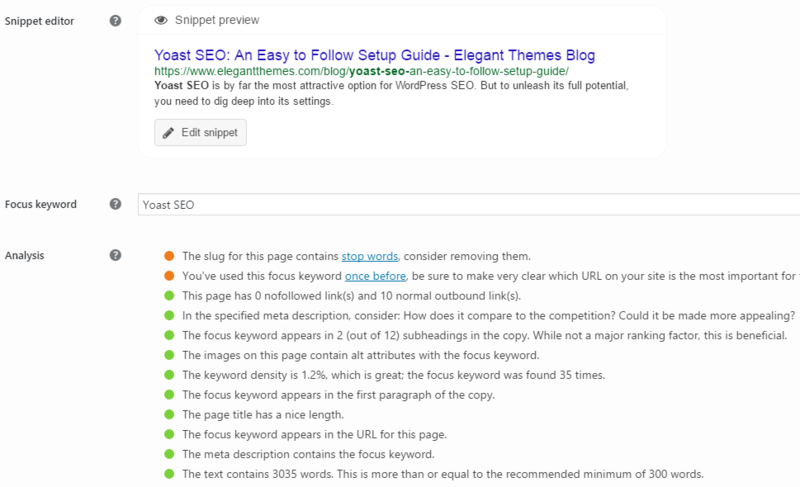 My plugin may require an update for the latest versions of Yoast SEO, and given this post on Elegant Themes I will move that up in my priorities. I will look at it again this week. Maybe if Elegant Themes itself goes to Yoast with this they might listen? Thanks for mentioning this Reidtech. I’ve had annoying typing lags happen on large Divi pages before and couldn’t figure out why. Now at least I have something to try. You’re welcome Pat. If you are experiencing typing lag on large Divi pages with Yoast installed, Yoast is almost certainly to blame. I have just updated my plugin that fixes this for Yoast versions 3.5 to 3.6.1. Thanks for this – it’s certainly an interesting subject. I think contacting support (https://www.elegantthemes.com/contact/) is the best course of action for getting your viewpoint in front of those who can make a decision – at the very least you can talk about the issue with someone likeminded. @John Hughes: I have already discussed this with Nick and Eduard of ET support and fully described the issue and my fix. Nothing ever came of it. Thanks for the suggestion though. Yoast SEO plugin is one such plugin I highly use and recommend. Thanks for sharing the tutorial, it really helps newbie to set it up in no time. Like Bican asked, it is recommended to use Yoast Sitemap over Google XML sitemaps? 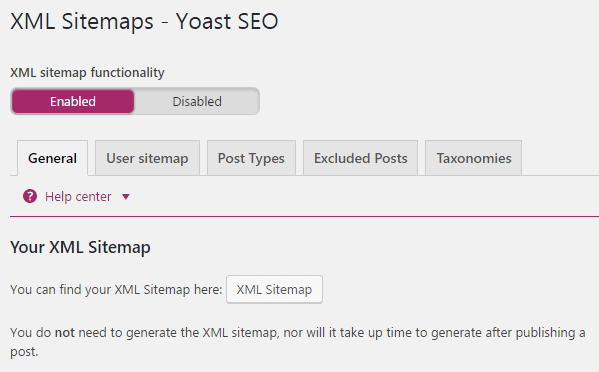 Using Yoast XML sitemap feature though. @John: Thanks a ton for all the much needed information. 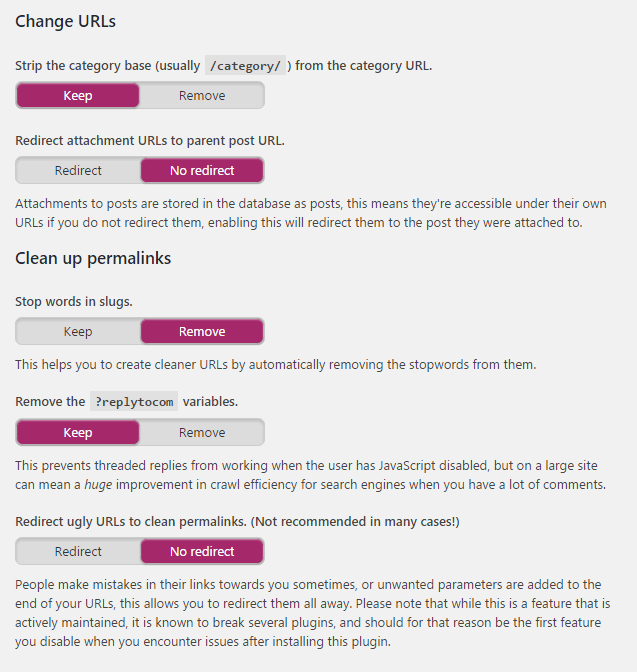 I’m a Yoast SEO user and whilst most of the settings are straightforward, it’s good to have a resource such as this post to help with setup. Much appreciated by all Yoast users and set to become “The Yoast SEO resource”. That’s the plan, Keith. 🙂 Thanks for your comment and kind words! I’d stick with Yoast, James. The functionality is solid, it’s already part of the plugin, and Yoast are experts in their field. I’ve been using Yoast SEO for a couple of years now and never fully understood how it works. This post has answered a few questions I had, and for that, I thank you. We’d be careless if we said that Yoast is the be all and end all of SEO plugins. However, it’s very popular, comprehensive, and backed by a team with a lot of knowledge of SEO. This is not the first time ET is endorsing YoastSEO and you should stop. Long time ago YoastSEO (payed and free) was great WP plugin but with every new version this plugin start to be flooded with huge amount of advertising, slow or non-existent support, devs refusing to acknowledge problems and bugs, on big sites can consume large amount of CPU and sometimes memory… and the list goes on and on. Please just stop, or at least make a sincere review of YoastSEO and other SEO plugins. Minty mentioned SEO Framework what is right now much better than YoastSEO, no aggressive advertising, no bloatware, no up selling of other products and lightweight. Even on big WP sites you will not notice any impact on your website performance. P.S. I’m not related to any of this plugins and my observations and opinions are based on live experience from several of my clients websites. Nice article, but it doubles a bit with Yoast’s configuration guide. – They allow your users to easily navigate your site. – They allow search engines to determine the structure of your site more easily. You discussed the first one, but don’t you think the second one is important? I wish there was an easy way to add the Yoast breadcrumbs to a Divi site without having to change the theme. It would be easy if the code module would accept php, or if there was a Divi module for the breadcrumbs that is only available if Yoast is installed. Or maybe a Divi native breadcrumb module. There are two schools of thought on this one. One is that breadcrumbs are necessary for helping the user and search engines navigate your site (https://vwo.com/blog/why-use-breadcrumbs/). i’m using yoast SEO free plugin over 6 year and until now i never understand about this plugin. I’m glad we could be of assistance, Saimi! Thanks for the great rundown. I have a questions with regard to the “Optimize Your Titles and Meta Descriptions” section. Navigate to: YSEO > Titles & Meta > Tab:Post Types > scroll down to “Projects” > Title template field. I thought it would be as easy as adding project_category, but that didn’t work. Below is what I used. Can you tell me what I’m doing incorrectly? Without your own installation in front of me, it’s difficult to diagnose. However, for a start I notice that %%project_category%% isn’t a recognized variable. Take a look at this post in the Yoast knowledge base and see if it might help you (https://kb.yoast.com/kb/yoast-wordpress-seo-titles-metas-template-variables/). Thanks John, This post has answered a few questions I had. Which is better between Yoast SEO and All In One SEO.? Thanks for the article. I’m using Divi for 3 months now. I’m just starting/building a magazine website. I encountered a problem with Yoast, if you help me solve it please.. I created a layout and applied it to my Homepage. In “Homepage” settings I can find a way to configure Yoast, but NOT in the “category builder” section! So my question is, How can I configure Yoast SEO for a layout (created in Extra category builder)? You can post your question there (https://www.elegantthemes.com/contact/) and call on other Divi users to assist you – good luck! Hi there. 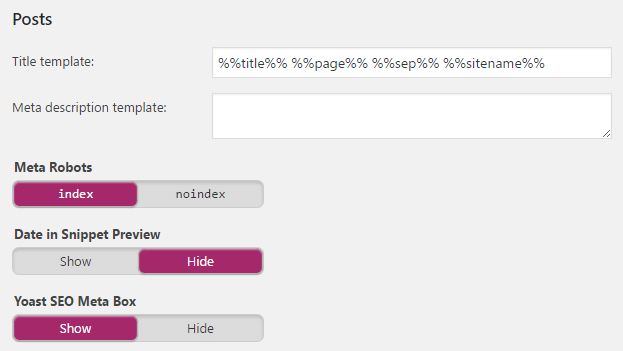 Has anybody been able to get the Readability feature of Yoast SEO to work with the Divi Builder. This is a great feature but the minute you create a page with Divi, Yoast cannot seem to access the content within DIVI to highlight your optimisation opportunities. This is the feature within Yoast Readibility where you click on the ‘eye’ and it highlights the offending text. Any ideas?